"Marx understood what tribal people had always known: the maker of a thing pressed part of herself or himself into each object made. Some spark of life or energy went from the maker into even the most ordinary objects. 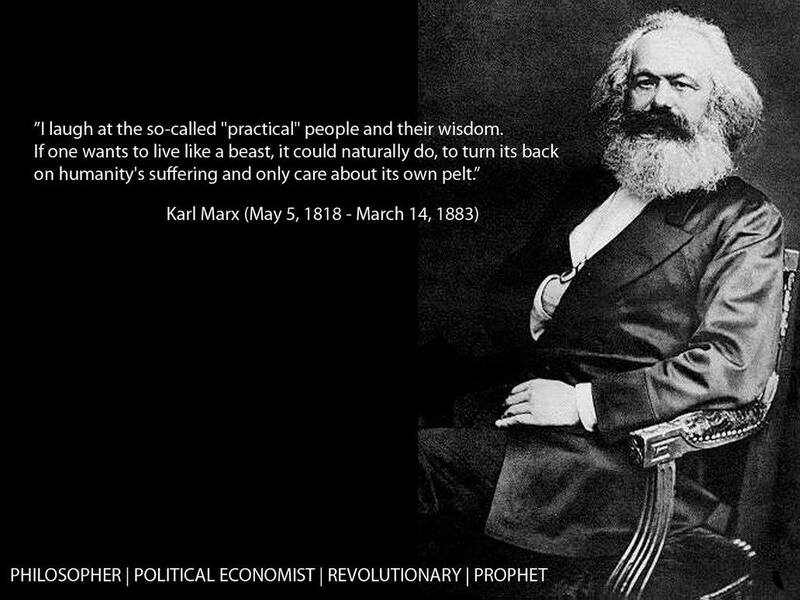 [...] Marx [...] understood that nothing personal or individual mattered because no individual survived without others. [...] Marx, storyteller; Marx with his primitive devotion to the workers' stories. 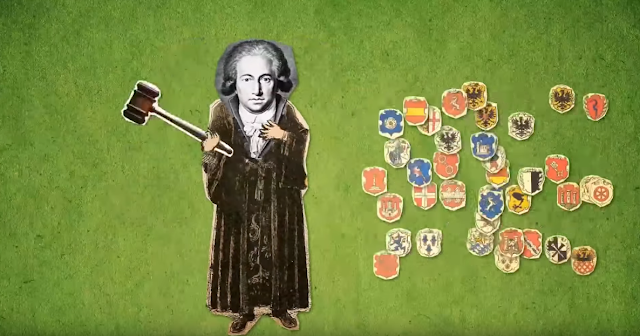 No wonder the Europeans hated him! Marx had gathered official reports of the suffering of English factory workers the way a tribal shaman might have, feverishly working to bring workers a powerful, even magical, assembly of stories to cure the suffering and evils of the world by the retelling of stories. [...] In the repetition of the workers’ stories lay great power [...] the power to move millions of people." Indeed, Marx's flair for storytelling was genuine and unmistakable, and he became quite a storyteller very early on in his life. Eleanor, Marx's daughter, recalled in later years: "He [Marx] was a unique, unrivaled storyteller. I've heard my aunts say that as a little boy he was a terrible tyrant to his sisters, whom he would 'drive' down the Markusberg at Trier full speed, as his horses, and worse, would insist on their eating the 'cakes' he made with dirty dough and dirtier hands. But they stood the 'driving' and ate the 'cakes' without a murmur, for the sake of the stories Karl would tell them as a reward for their virtue." And it's not for nothing that Marx read to his children the whole of Homer and of course _Don Quixote_. And guess what? Marx loved the _Arabian Nights_, stories from which he also used to read aloud to his children at bedtime. Although Marx deploys here and there in his own works some images from the _Arabian Nights_, I'm yet to learn fully what other specific uses he makes of the _Arabian Nights_. Of course, above all, Marx is a revolutionary, one whose work and vision have to do with nothing short of the "universal human emancipation," to use Marx's own words. The declarations of the many deaths of Marx notwithstanding, he keeps returning with full force! So his life is way truer than his death in our struggle for the emancipation of humanity in its entirety. Alain Badiou's "Philosophical Status of the Poem" is one helluva brilliant piece. 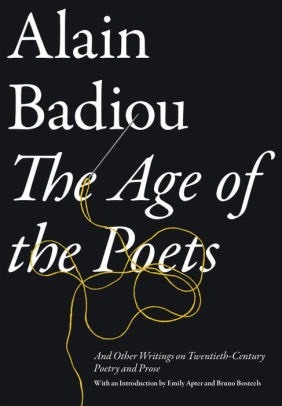 A "Platonist of the Multiple," as he himself claims, Badiou here moves in the direction of "de-Platonizing" the relationship between mathematics and poetry, dispensing with the procedure of interrupting the poem with a matheme (which, of course, is applicable elsewhere), while holding that poetry is the thought of the presence of the present, "a presence, which far from contradicting the matheme, implies 'the one and only Number that cannot be any other.'" In the piece in question, Badiou brilliantly meditates on the three possible relations of philosophy (as thought) to the poem. He takes up Parmenides, Plato, and Aristotle. According to Badiou, then, philosophy envies the poem, as in the case of Parmenides; philosophy excludes the poem, as in the case of Plato; and philosophy classifies the poem, as in the case of Aristotle. In other words, the three possible links between poetry and philosophy are "identifying rivalry" (Parmenides), "argumentative distance " (Plato), and "aesthetic regionality" (Aristotle). An old friend of mine--one who calls me a "Shakespearefreak"--and I discussed Marx and Shakespeare on the phone the other day. It was quite a useful discussion. We talked about certain aspects of such works as S.S. Prawer's _Marx and World Literature_, Howard and Shershow's anthology _Marxist Shakespeares_, and Gabriel Egan's _Shakespeare and Marx_, among other things. And we talked about how Marx was deeply interested not only in Shakespeare but also in parodic forms. In fact, when Marx was only 19, he began work on a comic novel of his own called _Scorpion and Felix_. Interestingly, the structure, design, and techniques of that novel were based not on the "Bildungsroman" of Goethe but on Laurence Sterne's _Tristam Shandy_, an anti-novel that anticipated my favorite James Joyce's _Ulysses_. The "Sternean" in Marx, then, has to do with, among other things, Marx's unmistakable delight in "sudden, deliberate letdowns" and even in "verbal cartoons," to use Prawer's words. True, like Sterne, Marx already developed quite a range of parodies: of the Bible, of Ovid, of Goldsmith's _The Vicar of Wakefield_, but above all of none other than Shakespeare himself. 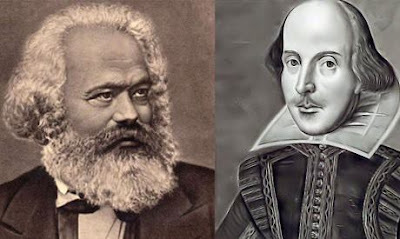 Although Marx developed his love for Shakespeare relatively early on in his life, it was during his exile in England that Marx passionately devoted himself to Shakespeare. In fact Marx read Shakespeare every day. As Franz Mehring tells us in his memoir of Marx: "After Marx had become permanently domiciled in London, English literature took first place, and the tremendous figure of Shakespeare dominated his field; in fact the whole family practiced what amounted practically to a Shakespearean cult." Every time the question of language surfaces it means that a series of other problems are coming to the fore. OUR language movement of 1952 was more than a historical moment and surely more than a sliding signifier, although the problem remains one of seeing things historically. Of course, our middle-class, soggy, sentimental nationalism continues to celebrate the Ekushey in its own ways on a yearly basis. Erasing, obscuring, and even occulting the sites of actual material contradictions and antagonisms that involve — among other things — the questions of class and gender, this routine celebration also continues to evacuate the Ekushey of its radical content and emancipatory politics. Also, given the ways in which our mainstream political culture has evolved since the birth of Bangladesh as a nation-state — a political culture decisively characterised by anti-people, anti-democratic, and even fascist elements today — the Dhaka-centric yearly ‘celebration’ of the Ekushey repeatedly reveals how it is reduced to a narrow ‘cultural’ event, one that has, as if, nothing to do with the emancipatory aspirations and struggles of the oppressed in Bangladesh. In my reckoning, then, the challenge for us continues to reside in recuperating and reclaiming the radical character and content of our language movement. But recuperation here does not come to mean a simple return to the past. In fact, there’s no such return. We cannot simply return to 1952 or to a temporal horizon preceding it — the times that historically paved the way for the singular eruption of the 1952 movement as such. But, then, one may rediscover and even reload the significance of the 1952 movement only in response to our contemporary conjuncture itself, a conjuncture of which we can hardly make sense without paying critical attention to actually-existing unequal production relations and power relations that characterise the practice of everyday life in Bangladesh. Keeping this in mind, then, I intend to zero in on certain questions and even conceptual concerns that remain relatively unaddressed in our standard accounts of the language movement of 1952, by now numerous as they are. Indeed, to put it mildly, most of the accounts in question tend to either leave out or short-circuit the question of the relationship between language and colonialism itself. Thus, those accounts end up eliding the relationship between decolonisation and democratisation. And, of course, they are constitutively incapable of addressing the question of the total emancipation of the majority of our ‘ordinary’ people — women, peasants and working working-class peoples as well as ethnic, linguistic, and religious minorities in Bangladesh. Indeed, the question of language itself remains unresolved in our history, as we will see. 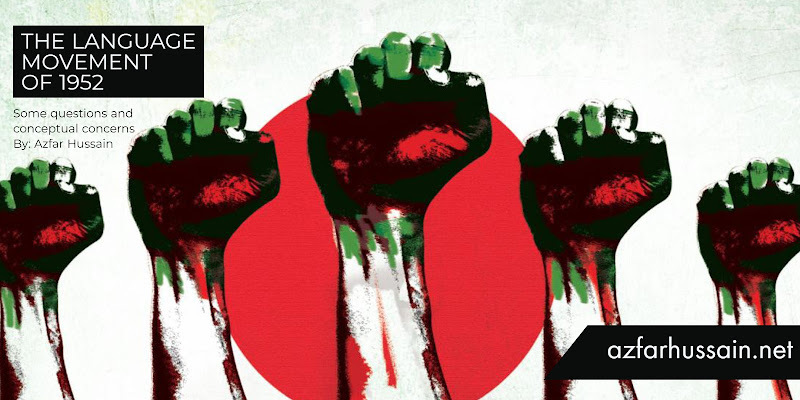 In my work, I’ve been arguing for quite some time now that land, labour, language, and the body continue to constitute the four fundamental sites of both oppression and opposition for the global oppressed as well as for the oppressed in Bangladesh. I’ve also argued that without the emancipation of these four sites of the oppressed from the four global systems of oppression and exploitation such as capitalism, colonialism/imperialism, racism, and patriarchy — profoundly and variously interconnected as they are — there is no real emancipation of humanity. Even a radical democratic struggle — and, for that matter, any anti-capitalist, anti-imperial, or anti-colonial, and anti-patriarchal struggle — in a third-world country cannot but be concerned with those four sites I’ve named above. I’m aware that I’ve advanced here a fairly broad and quick formulation. Although this is not the place to go into the concrete detail of what I wish to call the land/labour/language/body problematique in Bangladesh, I wish to make a few general observations about those sites before I take up the language question in particular in a relatively limited context. I think it is not difficult to see the validity of the formulation in question in the case of people’s ongoing struggles in Bangladesh at a time when, for instance, the safety and security and even sovereignty of our own homeland are already at stake, given the ways in which our own ruling classes operate in well-orchestrated class-cahoots with transnational corporations and US imperialism, on the one hand, and with such international financial institutions as the World Bank and the IMF, on the other, to say the least. Of course, the land question is a loaded and complex one — one that, for instance, brings up the issue of inordinately and increasingly asymmetrical, class-divided access to the land in our rural areas and elsewhere as well as the question of the notorious subjugation and even occupation of our minorities’ land — at more levels than one — within the country. Indeed, it is possible to address the land question at numerous levels to see — among other things — how the land itself turns out to be an explosive site of class struggle. One needs to think of the current struggle of the tea-workers in Sylhet, for example — ones who are fighting for their land in the first place. As for the labour question, Bangladesh — rightly characterised by the Egyptian political economist Samir Amin as the ‘periphery of the periphery’ under global capitalism — remains an exploited ‘third-world’ site, whose workers, particularly women workers, are currently among the most exploited in the entire world, to say the least again. But labour is no unitary thing in Bangladesh, while there has been an unprecedented ‘proletarianisation’ of the masses in the country (not in the classical sense, though), no matter what the state of the labour movements remains. Under such circumstances, then, ‘the labouring body’ — to use the contemporary French Marxist philosopher of language Jean-Jacques Lecercle’s materialist category, remobilised as it is from David McNally’s crucial book called Bodies of Meaning — and the gendered body in particular are always at stake. And, thus, under such circumstances, the language of the masses cannot but be the language of their daily, practical, even bodily struggle — to rehearse and stretch Marx’s formulation from another context — against different forms and forces of exploitation and oppression today. Against this background, let me now take up the question of language to account for the significance of our language movement today. In order to do this, I think I would do well to return to a few ‘third-world’ anti-colonial theorists and writers that will include some of our own, whom I find useful on more scores than one. IN Decolonizing the Mind, the Kenyan writer-activist Ngugi wa Thiong’o maintains: ‘The choice of language and the use to which language is put is central to a people’s definition of themselves in relation their natural and social environment, indeed in relation to the entire universe.’ Ngugi here does not merely call attention to the choice of a particular language vis-à-vis our struggle for self-definition, but also registers his predilection for the ways in which language is used, or the ways in which language comes to define and determine one’s place in the world. In some of his works, Rabindranath Tagore — well before Ngugi — brings up the question of the relationship between being and language in the world, although by no means does Tagore fashion an elaborate ontology of language, nor does he always rigorously dwell on the political dimensions of language from anti-colonial perspectives as such. But it is Kazi Nazrul Islam — an uncompromising anti-colonial revolutionary, one who characteristically moves in the direction of destroying the very prison-house of language policed by colonialism — who makes it clear rather repeatedly in his words and his work that language itself is a site of anti-colonial struggle; that language itself turns out to be a praxis. In other words, for Nazrul and Ngugi alike, choice is absolutely necessary but profoundly insufficient. What, then, is important is the way in which one politicises one’s choice by choosing to confront, challenge, and combat the existing systems of oppression, making the point that language relations are also power relations. Our language movement of 1952 was not simply a struggle for choice. Rather, it was a struggle for self-definition. But, no less significant, it was primarily, if not exclusively, a political struggle of the masses — not only of some students, although they played crucial and even decisive roles. And it was a struggle for freedom and even emancipation that opened up the possibilities of subsequent mass movements in our part of the world. Badruddin Umar’s monumental work in three volumes on the language movement of 1952 brings this point home. Now both Nazrul and Ngugi — while offering their insights into language-as-a-site-of-struggle — encourage us to make sense of our place and our language in history. ‘Events are the real dialectics of history,’ as Gramsci would say. Let us, then, look at that crucial historical event called the ‘partition of India.’ The partition was — among other things — a consequence of at least three things coming together to constitute a particular historical calculus: colonialism itself in the hard political sense, sustained middle-class interests in the shift of power, and a decisively unfinished and even occasionally misdirected and weak struggle against British colonialism at the cultural level. Indeed, the very emergence of Pakistan inaugurated another phase of colonialism in our political history. One may call it ‘internal colonialism,’ given the very nature of unequal and exploitative relations that obtained between the western and eastern wings of Pakistan. In fact, internal colonialism — variously informing and inflecting those unequal power relations between the two wings — came to influence and even determine the use of language, while producing, reproducing, and reinforcing the divide and distance between the ‘self’ and the ‘other,’ between ‘us’ and ‘them,’ over the language question itself. Yes, many languages — both Urdu and Bangla, among others — were all used during the Pakistani neo-colonial period. But, to put it bluntly, while Urdu in a certain sense became the language of the coloniser for the sheer reason of its power achieved in both economic and political terms, Bangla and other languages came to be flagrantly marginalised. In fact, the pronouncement that ‘Urdu, Urdu alone shall be the state language of Pakistan’ marked a distinct move in the direction of what might be called cultural and linguistic colonialism — almost British style. And what then began as the ‘state language movement’ in 1952 (later, it came to be known as the ‘language movement’) was a movement against — among other things — a particular form of linguistic and cultural colonialism. LET me now quickly make a few points concerning the anticolonial and essentially political nature of our language movement. To begin with, the Urdu language was not certainly the language of the majority in the then Pakistan, but Bangla was. 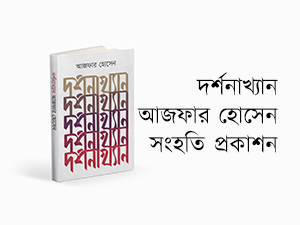 But attempts were made, ineffectively though, to justify the raison d’etre of Urdu as the state language on the ground that it was ‘superior’ to Bangla and other languages, always already othered. In other words, colonialism’s rhetorical project was at work. Indeed, colonialism is not simply always coercive; it is also rhetorical in that it reproduces its life, its daily round of living, through various means and modes and relations of persuasion. And both the coercive and the rhetorical — enacting their alternate roles — continued to manufacture and package the idea and image of the superior (and the idea of a superior language, for that matter). And the idea and the image in question cannot be dissociated from the entire configuration of what might be called ‘colonial epistemic violence’ — the kind of violence that colonialism perpetrates on the knowledge systems and even language(s) of the other. Indeed, colonialism — its various vectors and valences notwithstanding — tends to perpetrate violence on the language, land, labour, and body of the other. And, historically speaking, one way of governing, even disciplining, and subjugating the numerically strong other is to undermine it not only at the base but also at the superstructural level — to weaken it both economically and culturally. As the Caribbean anti-colonial theorist and revolutionary Frantz Fanon — who influenced Ngugi wa Thiong’o and who would have certainly admired Nazrul, had he known Nazrul’s work — puts it in his groundbreaking work called Black Skin, White Masks: ‘To speak a language is to take on a world, a culture.’ It was this vital relationship between language and culture that our language movement of 1952 underlined in addition to accentuating other aspects of people’s struggle for freedom and emancipation. In 1952, as we all know, protests were made in the streets, although one can surely trace the history of such protests earlier than 1952. And the people had to sacrifice their lives for establishing their right to language and by extension their right to self determination. But the cultural issue of colonialism involved in ‘Urdu, Urdu alone shall be the state language of Pakistan’ was then being fought primarily at the political level (‘political’ in the immediate, hard sense), and this political battle against an already established colonial cultural hegemony was not sufficient, although this battle persisted, remarkably of course, eventually leading to the emergence of Bangladesh as a geographically independent nation-state in 1971. Here, by no means do I mean to undermine or diminish the importance of immediate political struggles for a nation’s freedom and liberation. But, then, a political struggle without its equally strong — and organically tied — cultural and ideological counterparts can only achieve limited, or virtually no, success. Of course, the language movement per se, as an instance, can be invoked today to emphasise freedom, democracy, anti-colonialism, anti-imperialism, and the struggle for establishing people’s rights — economic, social, cultural, linguistic, and so on. But, then, the significance of the language movement needs to be continuously located and relocated in the very world we inhabit today. And ours is a world — and ours is the country — where, linguistically speaking, the gap between English and Bangla persists and even keeps yawning consequentially. And that very gap corresponds precisely to the gap between the privileged few who know or use English and the wretched of Bangladesh who speak or use Bangla (the ruling-class folks also use Bangla, but, no, I’m not speaking of them and obviously they do not belong to the wretched in question). The language question in this instance is clearly the class question, although the former also ranges beyond the latter. Of course, there exist unequal power relations between what is institutionally and otherwise legitimised as ‘standard Bangla’ and non-standard Bangla/regional languages/dialects, etc — something that the Marxist revolutionary Antonio Gramsci theorised in a different context quite some time back. And then, no less significant, the languages of ethnic minorities in Bangladesh decisively remain the most marginalised languages of the wretched precisely in the Fanonian sense. Then, there are those in our country who continue to celebrate the power, use-value, and exchange-value of the English language in the name of globalisation, conveniently mystifying the stubborn facts that globalisation itself — a euphemism for the latest stage of imperialism — is a globaloney for the many, the majority; that globalisation globalises unequal class relations, unequal race relations, unequal gender relations, and unequal language relations, as globalisation keeps connecting and interconnecting peoples, places, cultures, and languages in all sorts of ways. So, only connect? But connections themselves are unequal exchanges between the dominant and the dominated, between the oppressor and the oppressed. And, then, there are those deshi shahebs in our country, ones who even go to the extent of taking pride in asserting that they cannot speak or write in Bangla, despite their Bangladeshi origin and their prolonged Bangladeshi upbringing. Think of those who can go on and on talking about stuff like South Asian fiction in English, but who cannot tell you, for instance, who a Shah Muhammad Sageer is or who a Pagla Kanai is. Such folks can rightly be regarded as linguistic and literary slaves masquerading as the ‘educated’ members of our society. And the lack of knowledge they happily show, full-of-themselves as they are, and the choice of language they make are by no means politically, culturally, and ideological neutral or innocent. Owing to space constraints, I’ve hitherto dealt with a few issues, providing only a few and even quick examples. But I hope the point comes out clearly: Both our language movement and our liberation movement have remained disastrously unfinished — movements that I think have to be renewed and re-invented at this heavily crisis-ridden conjuncture as large-scale political and cultural movements all at once. Such movements will have to confront and combat cultural and linguistic colonialism at every turn, whatever its form and force, among other systems of oppression and exploitation. And let us not forget that we live in an era of ‘recolonisation,’ connected as it is to today’s capitalism (some even call it ‘tele-techno-electro-mediatic-digitalized’ capitalism), and that national liberation itself is an unfinished project, and that every democratic struggle worth its name must at the same time be a decolonization movement. Of course, our mainstream political culture is now totally incapable of addressing the question of decolonisation, let alone the larger question of emancipation. So the need for a new politics — and let me say at the risk of sounding even ‘utopian,’ the need for even a new revolutionary politics — is obvious enough at this point. আমি কি পারি আমার আদিম মাটিকে ছেড়ে যেতে? 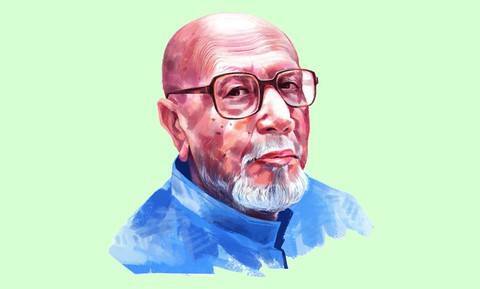 Azfar Hussain (Bengali: আজফার হোসেন) is a Bangladeshi theorist, critic, academic, bilingual writer, poet, translator, and activist. Associate Professor of Liberal Studies/Interdisciplinary Studies, Grand Valley State University in Michigan; Vice President, Global Center for Advanced Studies (GCAS) and Honorary GCAS Professor of English, World Literature, and Interdisciplinary Studies.